Stanley Cup in Montreal or Quebec City? Inform me about the next events for Stanley Cup. Enroll yourself to our priority waiting list for Stanley Cup to be alerted when new tickets are available. Filling this form doesn't engage you to any purchase. The Stanley Cup is the trophy awarded every year to the hockey team who’ll win the NHL Playoffs since 1927. This years, many supporters have some concern and question are burning their lips. Will the team changes will finally give the opportunity to the Montreal Canadiens to prove all statistics were wrong? 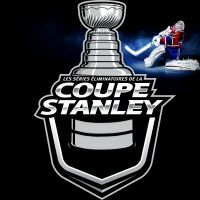 Will the 2016-2017 season will be successful enough to bring us the Stanley Cup final's here in Montreal? We are crossing our fingers. Meanwhile, sign up on our priority waiting list now!